Open:	Daily from 11 a.m. 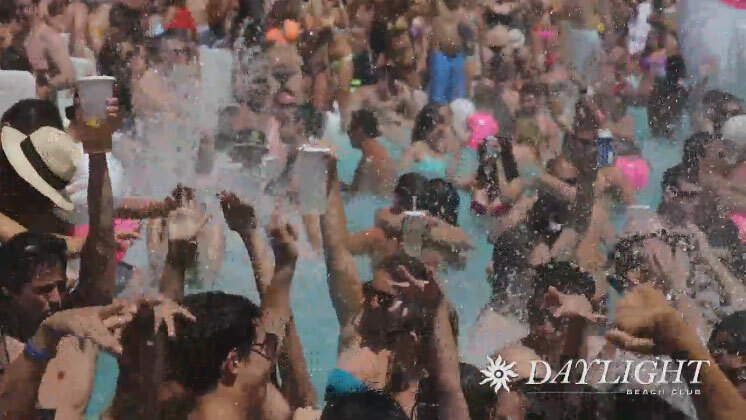 While the nightlife in Las Vegas is your typical rowdy experience, the daytime party has been slowly growing to match its sun-less counterpart. What’s come to be known as Sin City’s daylife is just as much the party scene as when the sun sets, which is why attractions like Mandalay Bay’s Daylight are becoming more and more sought-after. While Mandalay Bay’s main attraction used to be its beach-like resort pool, Daylight has sprung and a new leader in daytime entertainment has started to shine. Created by the Light Group’s founder, Andrew Sasson, Daylight is an expansive space that caters to the average party-goer in Las Vegas. Daylight takes what you know about popular nightclubs and transports them into the sunlight. Expect high-end resident DJs like Skrillex, Sebastian Ingrosso, Alesso, and Nicky Romero to fuel a high energy party from the early afternoon to the mid-evening. Following the Mediterranean feel that flows through its parent property, Daylight is an extravagant 4,400-square foot space that can accommodate a crowd of around 5,000 partiers. Like many other daytime party spaces, Daylight features an array of cabanas and daybeds, all surrounding Daylight’s resort-style pool. While daybeds offer the ideal place to kick back and relax in the desert sun, cabanas provide a far more secluded place to hideaway when the mid-days heat gets to be a bit unbearable. Complete with air conditioning, comfortable seating, and a flat screen television, cabanas are perfect for small parties or more intimate occasions. Additional to the 70 daybeds and 23 cabanas, two bungalow suits complete the perfect day at Daylight. Fitted with their own pools, private wait staff, and restrooms, bungalow suits are the ultimate means of enjoying the party at Daylight. When you get tired of the around the main pool, head to your private bungalow to have your own bash. 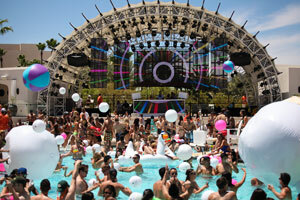 Dayclubs are exactly what they sound like - nightclubs, simply in the light of day. The aptly named Daylight sticks true to this philosophy by delivering an extremely energetic atmosphere that would put some older nightclubs to shame. LED screens, a high end sound system, and a rotating line-up of celebrity guest DJs are sure to keep the party at Daylight exciting and continuous. 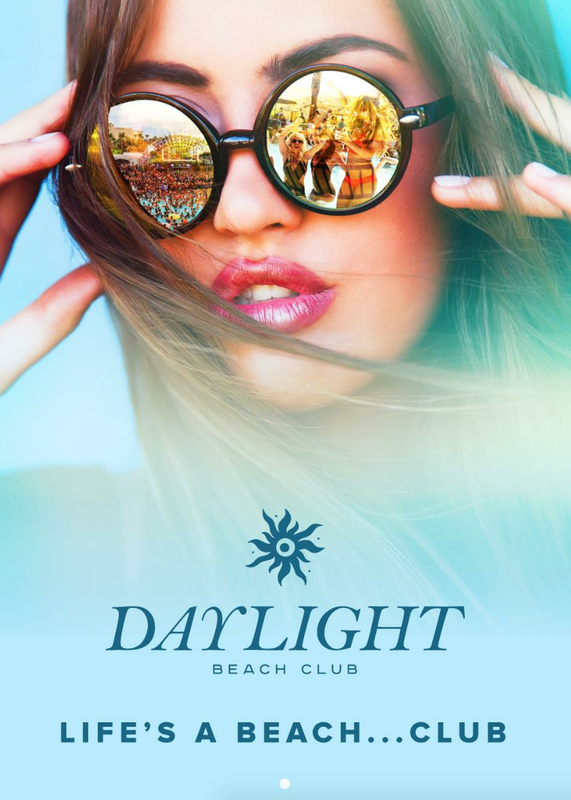 Whether you’re looking to party your afternoon away until Daylight’s occasional hosted nighttime event, Eclipse, or you want to lounge by the pool with some great company and some great music, Daylight is your club. Mandalay Bay may be on the far end of the Strip, near and accessible via monorail by the Luxor and New York, New York, Daylight is bound to draw the crowd further away from the heart of Las Vegas to the outskirts.